LA Pool Guys has been proudly providing professional pool service ( try to say that five times fast =) to Los Angeles, Orange County, Long Beach, Burbank, Pasadena, Glendale, and surrounding cities for the past 17 years. Swimming pools service, spa service, and fountain service has been our main focus. As the swimming season approaches, our professional technicians are gearing up for another hot summer full of sparkling pools. All of you swimming pool, spa, and fountain owners in the LA area we hope to meet you this summer. Contact us today for a free service estimate. Let us get that pool sparkling for you. Then you can enjoy some sparkling water by your sparkling pool! This entry was posted in Fountain Maintenance, Pool Maintenance, Spa Maintenance and tagged fountain service, fountain service company, long beach pool service company, los angeles pool service company, orange county pool service, Pasadena, pool service los angeles, spa service company on April 25, 2018 by LA Pool Guys. So I turned on the Olympics last night to watch the diving event and couldn’t believe my eyes. The first thing out of my mouth was, ” That pool is not clean!” As a pool guy I always notice these things when I walk into a hotel and the water is the slightest bit cloudy. But you don’t need to run a pool company to see that the pools at the 2016 Rio Olympics are more than cloudy. They have completely turned green! I’m not sure how this happened, but it really is a bummer that it happened on the largest stage. These pools at the Rio Olympics show how quickly a swimming pool can turn. Unfortunately with a pool this size it could take a good amount of time to clear up. 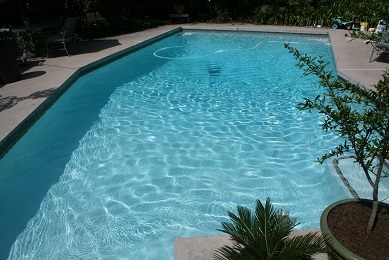 It takes a standard size (20,000 gallons) pool approximately 6 hours to filter through the system one time! Figure that these pools are in the hundreds of thousands of gallons. Well….we might be looking at green pools through the Olympics. This entry was posted in Pool Maintenance and tagged 2016, algae, cloudy, dirty swimming pool, green pool, la pool guys, Olympics, pool serivce los angeles, pools, Rio on August 11, 2016 by LA Pool Guys. By this time most commercial properties in Los Angeles have taken care of the Virgina Graeme Baker retrofit requirements, but if you have not already Design Plastering has helped LA Pool Guys with bringing our commercial properties into compliance since the law was enacted. 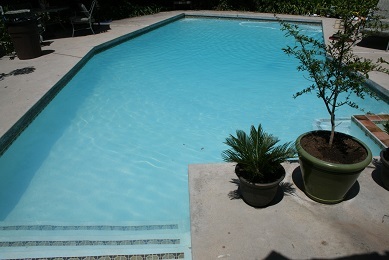 If you are still looking to retrofit, give them a call and tell them that LA Pool Guys sent you. By July 1 2010, all public pools should have been brought into compliance with the Virginia Graeme Baker Act. This required retrofitting the pool with approved drain covers and making sure that the suction drains were split or protected by a safety vacuum release system. In addition, pool owners/contractors were required to send a certificate of compliance to our department once the work was done. Pools that are not in compliance are being closed by our department until they comply with the VGB act. The process is not complete until we receive the compliance form. This entry was posted in Los Angeles Health Department and tagged drowning laws, Los Angeles Health Department, main drain, pool service company virginia graeme baker act, pool service los angeles, pool suction, suction, suction line death, swimming pool retrofitting on July 25, 2014 by LA Pool Guys.